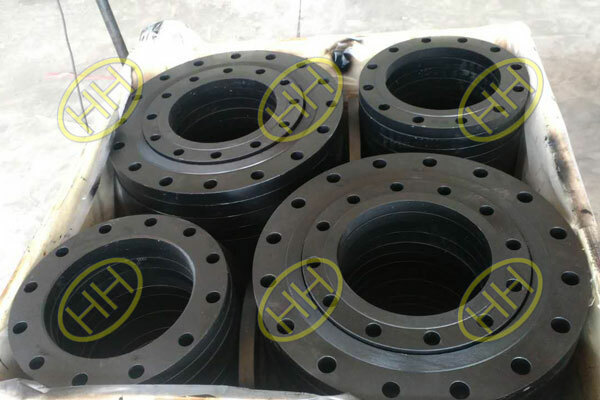 Socket weld pipe flange is like a slip on flange,it is used specially for small sizes piping systems.The shape of a socket welding flange is like a slip on flange with a block in the inner bore of the flange which name is socket.And the socket thickness is common same with the pipe thickness. Standard: ANSI/ASME B16.5, ANSI/ASME B16.47, BS4504, BS3293, EN 1092, DIN2631,DIN2632,DIN2633, DIN 2634, DIN2635, DIN2636, DIN2637, DIN2638, JIS B2220, SABS / SANS 1123 , GOST / ГОСТ 12821-80 Flange, MSS SP-44 FLANGE, API 6A, 6B, 6BX weld neck FLANGE, ISO 7005 Weld neck flange. 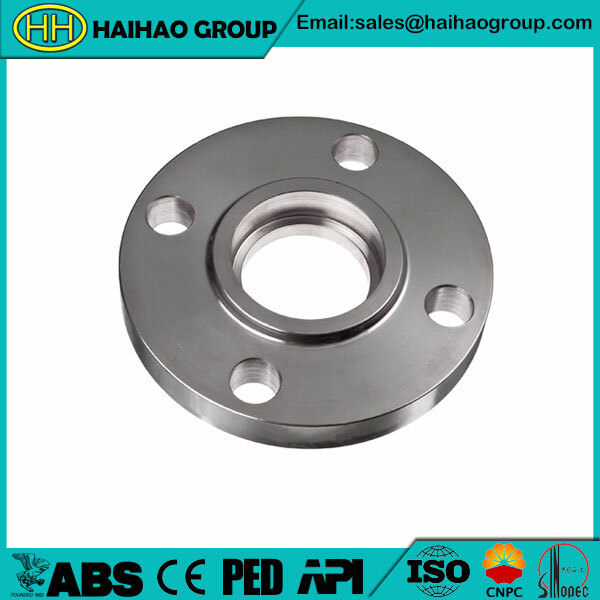 NFE 29203 Weld neck flange, KS B1503 , UNI 2280-67 ,UNI 2281-67 ,UNI 2282-67 ,UNI 2283-67 , UNI 2284-67, HG20595,AS2129. Pressure: Class 75, Class125, Class 150, Class 300, Class 400, Class 600, Class 900, Class 1500,Class 2500, 3000 PSI, 5000 PSI, 10000 PSI, 20000 PSI. 5K, 10K, 15K, 20K, 30K. Carbon steel: ASTM A105, A181, ASTM A516 GR.60, GR.70, ASTM A694 F42, F46, F52, F56, F60, F65, F70, ST37, ST45.8, C22.8, S235, S235JRG2, P235GH, P245GH, P250GH, P265GH, P355GH, S355J2, 16MN, 20MN, Q235, 20#, CT20, SS400. Stainless steel: ASTM A182 F304, F304L, F316, F316L, F321, F321H, F304H, F316H, F347H, 1.4301, 1.4306, 1.4401, 1.4404, 1.4541, 1.4571, SUS304, SUS316. Alloy Steel: ASTM A350 LF2, CL1/CL2, ASTM A182 F5, F9, F11, F12, F22, F91. Sealing face: Raised Face(RF), Flat Face(FF), Ring Type Joint(RTJ). 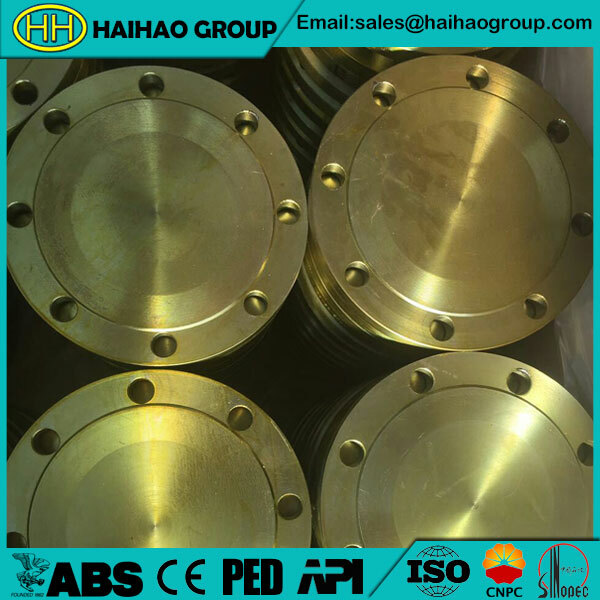 Flange face finishing, MSS-SP-6, such as: Stock finishing, Spiral serrated finishing, concentric serrated finishing, smooth finishing etc. 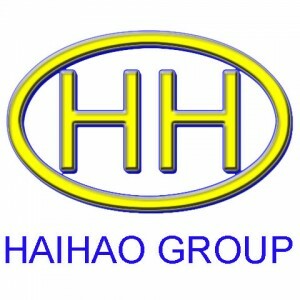 Certificate: BS EN10204 3.1 MTC, ABS, PED 97-23-EC, CE, ISO, API approved. Application: Water Treatment, Shipbuilding industry, sea Platform, Petrochemical & Gas industry, Power plant, Valve industry, Construction, Chemical industry, General piping system etc. Packing: Wooden case, Plywood case, Pallet. 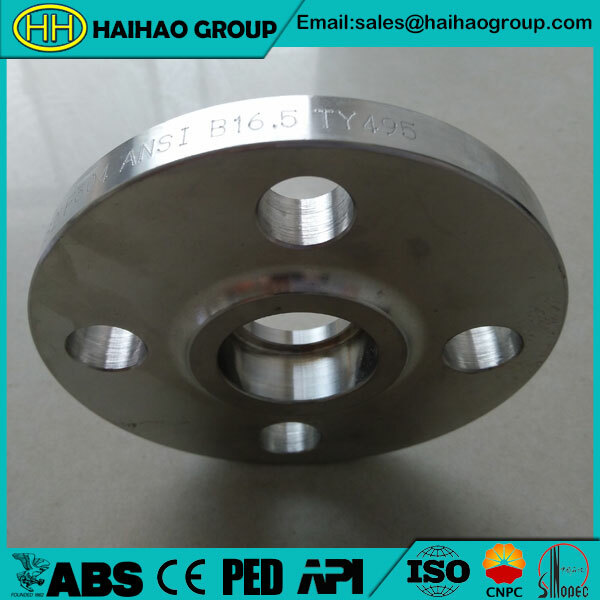 Marking: MSS-SP-25, necessary information of flange specification, Customized marking is available. 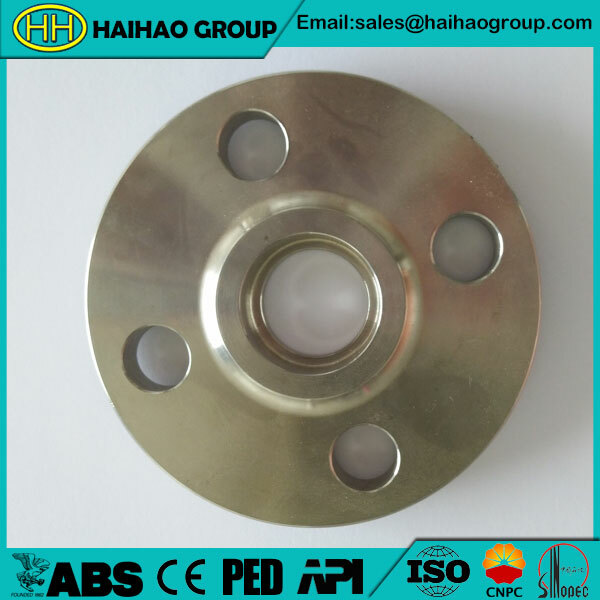 The socket welding flange are typically used in hydraulic piping systems and steam distribution lines, Hebei Haihao Flange Factory can supply the socket weld flange in all materials and customized specifications.